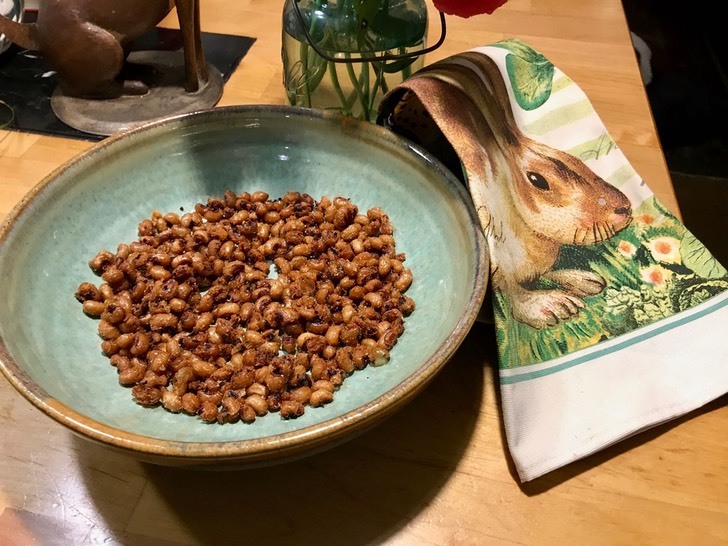 Rinse and drain black-eyed peas – dry for an hour on paper towels. In a deep skillet or Dutch oven pour oil to a depth of about 2 inches. Heat over high heat until a peas sizzles when you drop one in. Carefully add black-eyed peas, they will float to the top. Cook stirring a few times until they are crunchy and browned, about 3 minutes. Drain on paper towels – add celery salt and pepper to taste.